BMW's flagship coupe returns after two-decade absence. This is the first BMW 8-Series since the original was abandoned in 1999. It may be time for the 24 Hours of Le Mans, but the big news, trackside will turn to a new street model, BMW using the annual endurance race as backdrop to reveal the long-awaited rebirth of its flagship 8-Series model. It’s been nearly two decades since the Bavarian automaker abandoned the original 8-Series, but we got word that it would make a comeback last year with the May 2017 debut of the Concept 8 at the Concorso d’Eleganza Villa d’Este on Italy’s Lake Como. Finally, we’re getting a look at the production version. Like the original, the new 8-Series opts for a coupe body, albeit one with a much more modern, streamlined design. The pop-up headlights, for one thing, are gone, replaced by slim LED lamps and the automaker’s new LaserLight technology. Indeed, as you’d expect of a BMW flagship, everywhere you look the new coupe is loaded up with the latest in technology, from its optional carbon fiber roof to its self-parking system. The new 8-Series will hit 60 in 3.6 seconds and tops out, BMW claims, at 155 mph. The car adopts a long and low silhouette with a wide stance and a “double-bubble” roofline. The roofline tapers sharply towards the rear of its hatch, with a classic Hofmeister kink used to emphasize the coupe’s muscular shoulder lines. With almost slit-like taillights, the rear is heavily sculpted to emphasize both the car’s width and its low center of gravity. The look is completed with twin trapezoidal tailpipes pushed towards the corners of the rear fascia. The design is meant to be more than aesthetic, with a premium on enhanced aerodynamics. There’s an almost completely flat underbody with active air control including air shutters behind the double-kidney grille. Wind resistance is further tamed with Air Breathers and Air Curtains, as well as narrow side mirrors. Inside, the four-seater features a driver-oriented layout, with a wide center console that rises up towards the instrument panel, the stack topped by a frameless Control Display. On the center console itself a driver will find the familiar BMW iDrive controller, the Start button and what the automaker calls the Driver Experience Control switch. There’s a leather M-style steering wheel with multi-function controls and paddle shifters, as well. 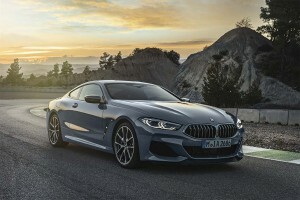 The 8-Series’ occupants sit in newly designed seats, those up front featuring integrated headrests and bolstering meant to be both supportive in aggressive driving maneuvers and comfortable for long trips. The front seats also feature a “semi-electric” fold function to make it easier for rear occupants to get in and out of the coupe. 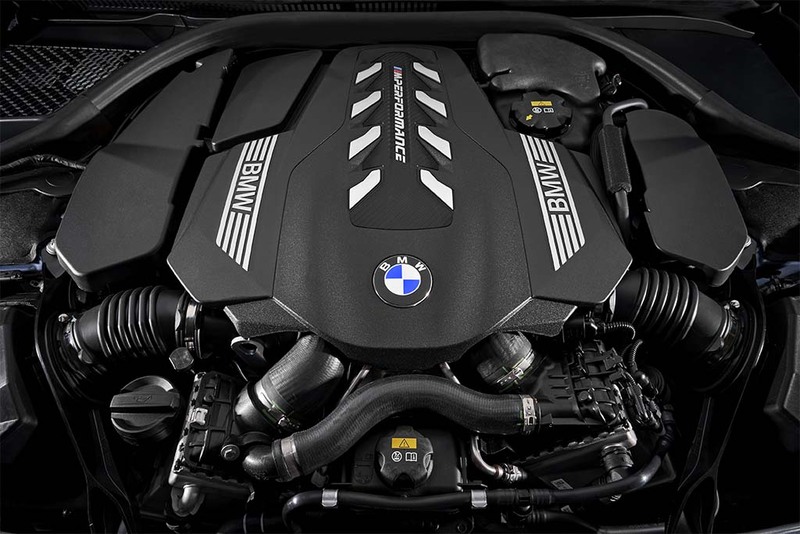 The updated, twin-turbo V-8 makes 520 hp and 553 hp and drives all four wheels. There’s a range of standard features, but also plenty of upgrades available, including a new “climate seat” design to further improve cooling on especially hot days. And the standard, 16-speaker Harman Kardon Surround Sound System can be upgraded to the Bowers & Wilkins Diamond Surround Sound System punching 1,375 watts through 16 partially illuminated speakers. The package pushes out 520 horsepower and 553 pound-feet of torque, with an eight-speed Steptronic Sport transmission directing power to all four wheels. Under normal conditions, power is heavily biased rearward. Shift paddles allow for manual control and there’s Launch Control for maximizing take-off performance. The Driver Experience Controls allow a variety of settings, including Comfort, Sport and Sport+ modes. BMW estimates the M850i will hit 60 in 3.6 seconds and top out at 155 mph. 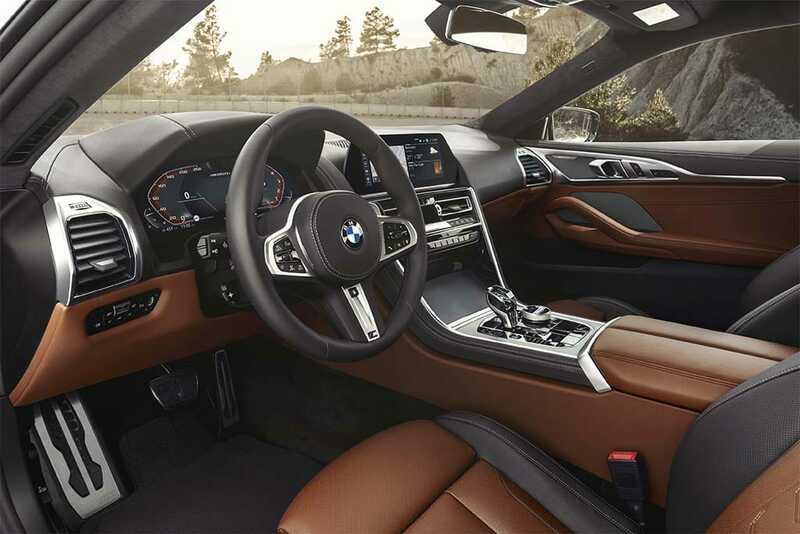 The M850i's driver-centric interior design. The new 8-Series features a double-wishbone front suspension and a five-link rear. There’s electromechanical steering and an electronically controlled rear differential helps further enhance stability. Standard tech features include Head-Up Display and Parking Assistant, the last able to select an appropriate parallel spot and maneuver into it with little involvement from the driver. BMW also adds the Digital Key, allowing the 8-Series to be operated entirely without a conventional car key using a smartphone with integrated NFC, or Near Field Communications technology. 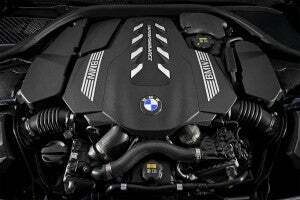 Pricing and fuel economy details are expected to be released closer to the M850i xDrives on-sale date around November of this year. 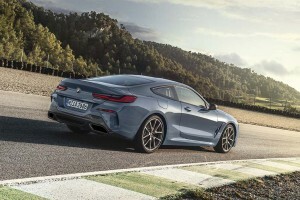 This entry was posted on Friday, June 15th, 2018 at and is filed under Automobiles, BMW, Business, Concept Cars, First Look, Luxury Vehicles, Sales, Semi-autonomous Driving, Sports Cars, Technology, Trends. You can follow any responses to this entry through the RSS 2.0 feed. Both comments and pings are currently closed. Assuming a 100 person design studio, BMW is saving $10 – $20 million a year without one.